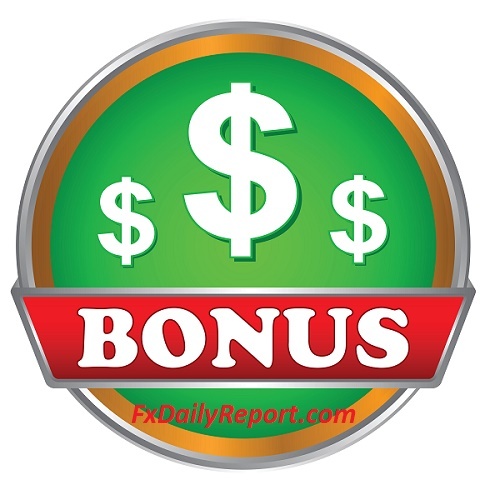 Bonuses are an integral part of what forex brokers offer their prospects in order to attract them to their platforms. The first bonuses issued ten years ago consisted of cash bonuses. So what are bonuses as far as the forex market is concerned? These are cash and non-cash incentives that are provided to traders to increase their trading capital or enhance their trading in order to enable them trade bigger contracts and potentially make more money. Bonuses are supposed to bring a win-win situation for both broker and trader to the table. Trader gets more trading capital to trade, with the potential to make more money, and the forex broker makes money from increased trade commissions. How did the concept of forex bonuses come about? Bonuses developed as a marketing tool to counter the apathy among retail investors which arose from the colossal losses they sustained in the immediate aftermath of the global financial crisis of 2008. In order to shore up market confidence, brokerages came up with an ingenious idea of providing trading bonuses to boost the market interest of retail traders. The second benefit would be to the brokers who would benefit from more business. These days, bonuses are varied and the types of bonuses provided have also continued to expand. Let us look at these bonuses and get to understand how to make these bonuses work. The welcome bonus is self-explanatory. This is an incentive, cash or material, provided to new traders who join a forex trading firm as clients and make an initial deposit to start trading. Please note that the bonus is only provided when the process of account opening has been completed by the trader making an initial deposit into the live account. Most welcome bonuses are paid as cash and because they are only provided after an initial deposit has been made, this category of bonuses is known as the deposit bonus. The deposit or welcome bonuses are meant to be used for trading purposes only. They cannot be withdrawn as soon as they are provided. They can only be withdrawn on fulfillment of certain trade volume conditions. These conditions differ from one broker to the other. It must be stated that cash is not the only item provided as bonuses. Sometimes, material items which are directly related to trading activity such as smartphones and tablet devices are given out as non-cash welcome bonuses. No-deposit bonuses were seen for the first time about 5 years ago as deposit bonuses flooded the market and certain brokers began to abuse the volume requirements. The no-deposit bonus as the name implies, is a form of bonus given to traders by their brokers without requiring them to make an initial deposit into a live trading account. Typically, these no-deposit bonuses are of small amounts, usually not exceeding $100. No-deposit bonuses were developed as a new form of bonuses to capture the attention of the trading public when it seemed that traders were gradually becoming desensitized to the issuance of deposit bonuses. No-deposit bonuses are a great way to start trading the live markets without putting any of your own money at risk. Many traders consider no-deposit bonuses as being superior to a virtual account. Usage of welcome bonuses and no-deposit bonuses come with terms and conditions of usage. Bonuses may look like free money, but they are not actually free. Bonuses are not meant be withdrawn from the trading account; they are to be used to trade. The trader eventually pays for the bonus by generating trade commissions that are equal to, or even greater than the bonus provided. Indeed, this is the main reason why brokers use it as a bait to draw in traders. Your job as a trader is to use the bonus correctly and not serve as shark bait in the market. FBS Markets provide traders with a welcome bonus as well as a no-deposit bonus. 100% bonus on your first deposit. This is the welcome bonus. Every account type is guaranteed a bonus. The use of the welcome deposit bonus is subject to terms and conditions as stipulated on the FBS Markets Inc website. Official Link >> 100% Welcome Bonus Deposit from FBS Markets inc.
A no-deposit bonus of $123, which is one of the highest in the industry. Bonus is provided without the need for account verification. Official Link >> No-Deposit Bonus $123 From FBS Markets Inc.